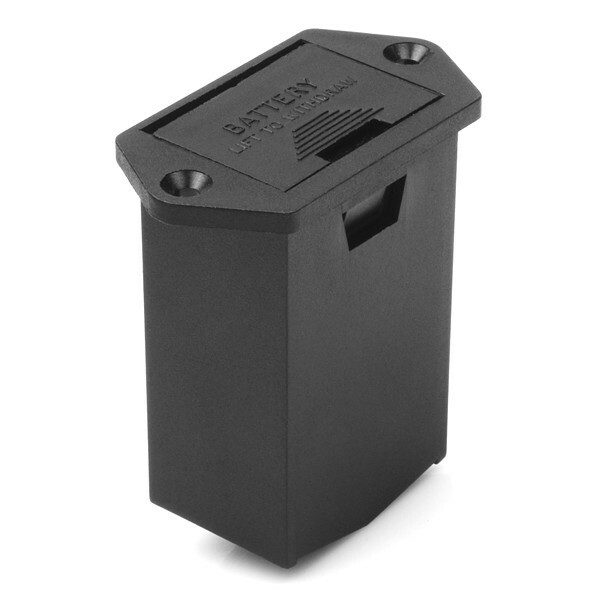 Description: This panel-mount 9V battery holder is perfect for projects where you have limited panel space but still need to get to your battery to change it. Simply install this battery drawer and your 9V battery will hide out of harms way. Mounts with two screws in the front (not included) and wires in with two solder tabs on the back.